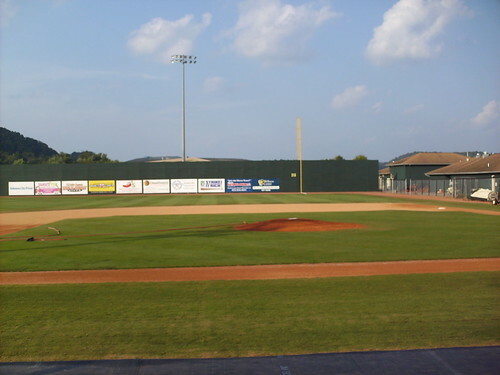 The view from behind home plate at Howard Johnson Field. The view from down the first base line. 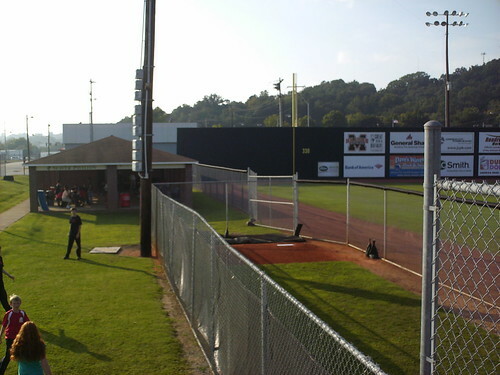 The tall advertisement in front of the trees is part of the fence, and a batter has to clear the entire ad to get a home run. The view from down the third base line. 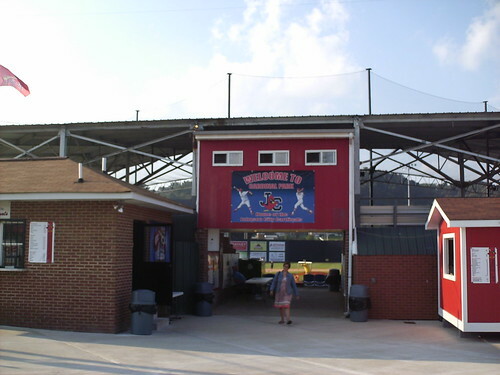 The clubhouse sits next to the outfield fence. 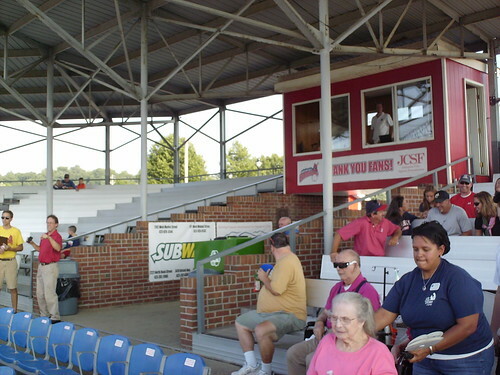 The covered grandstand at Howard Johnson Field. 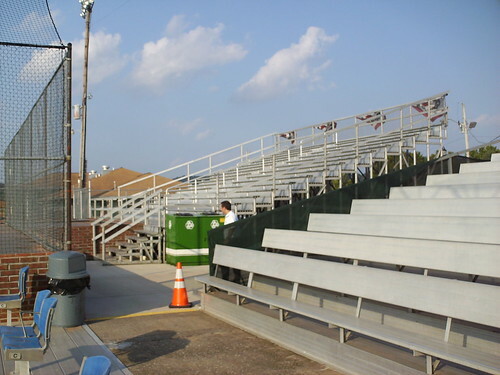 The pressbox straddles the main entrance to the seating bowl, with aluminum bleachers on either side. 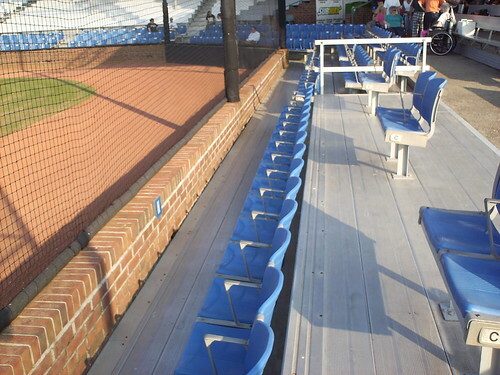 Additional bleacher sections sit on either side of the main covered grandstand. 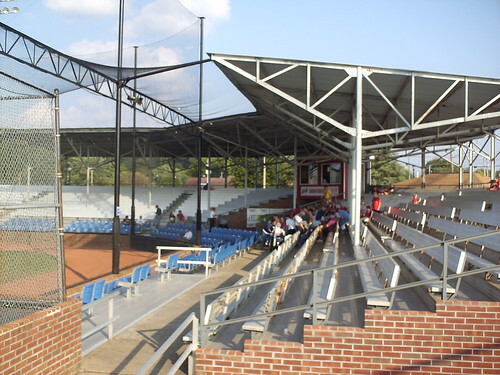 A few rows of reserved seats wrap around the short backstop in front of the grandstand. 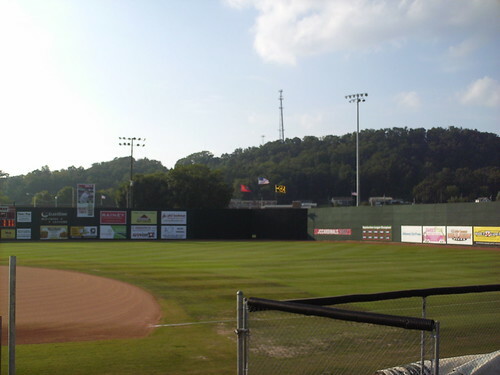 A covered party pavilion sits in the left field corner. 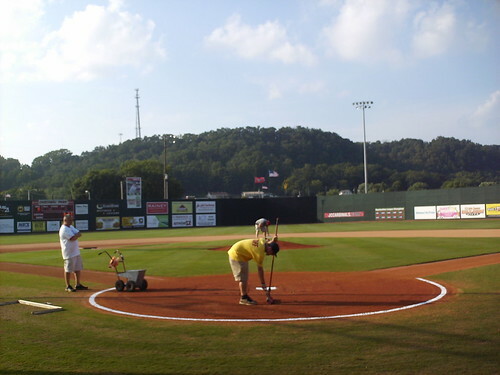 The field comes almost to a point in center field at a deep 430 feet, making the playing field resemble a diamond shape. 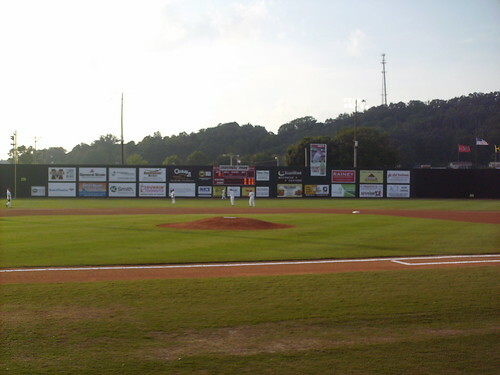 A plaque to the right of center field celebrates Johnson City's long history of Appalachian League pennants. 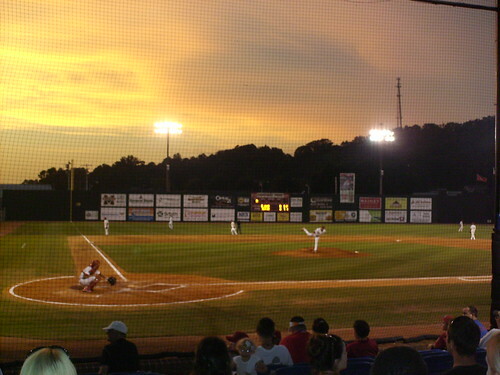 The Johnson City Cardinals on the field at sunset during a game at Howard Johnson Field.